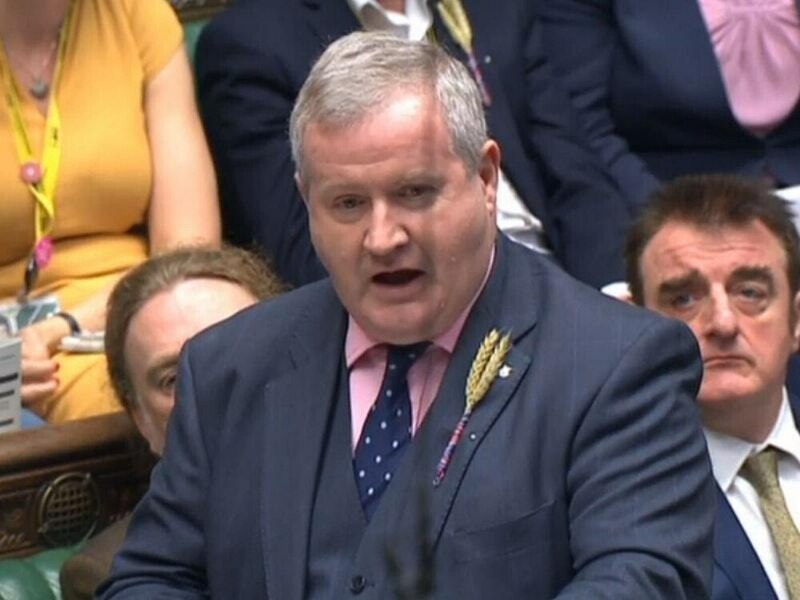 Why were MPs wearing wheat on their lapels at PMQs? The PM once admitted the naughtiest thing she had done as a child was to run through the crop. Theresa May could have been forgiven for having flashbacks to her “naughtiest” childhood moment when she appeared at the despatch box to find herself surrounded by wheat. The Prime Minister raised eyebrows during last year’s general election campaign when she told how her most mischievous exploit growing up had been to “run through” fields of the crop. Arriving at Prime Minister’s Questions, Mrs May found MPs across the House, including Labour leader Jeremy Corbyn, had pinned ears of wheat to their tops. The unusual accessory was adopted by many in a show of support for the Back British Farming campaign to raise awareness about the industry. Lots of @Conservatives MPs wearing heads of wheat on the benches around @Theresa_May at #PMQs today. Almost makes it look like she's in a field. But Conservative party deputy chairman James Cleverly could not resist gently teasing the PM about her previous revelation. The NFU (National Farmers’ Union) said the campaign was a “celebration of our wonderful farmers and all they do to feed the nation”. President Minette Batters said: “With only six months to go until we leave the EU, it’s fantastic to see so many MPs actively supporting the farming industry and helping to put food and farming at the forefront of activity in Westminster. “Food production impacts on every section of society and the NFU is working to ensure all MPs have a thorough understanding of farming and its value to the country, so that farmers are able to continue to produce food which is safe, traceable and affordable to all.